16 Commercial Real Estate & Properties in Main Beach are listed in 4 categories. We have 8 Retail ShopsSale & Lease , 3 OfficesSale & Lease , 3 Hotels and LeisureSale & Lease and 2 Development LandsSale & Lease . Corner position Tedder Avenue Peak Avenue 93m² ground floor shop on Tedder Avenue + 23m² of first floor storage cold room Features a large alfresco area to coincide with an operational restaurant/bar Current equipment can stay or go on request Previous tenant had food liquor licence On site car parking Available to inspect today! Approximately Disclaimer: Ray White has not independently checked any of the information we merely pass on. We make no comment on and give no warranty as to the accuracy of the information contained in this document which does not constitute all or any part of any offer or contract by the recipient. Prospective purchasers / lessees must rely on their own enquiries and should satisfy themselves as to the truth or accuracy of all information given by their own inspections, searches, inquiries, advices or as is otherwise necessary. No duty of care is assumed by Orchid Avenue Realty trading as Ray White Surfers Paradise Commercial divisions toward the recipient with regard to the use of this information and all information given is given without responsibility. Newly Renovated Office Space On Tedder Avenue! $15,170 P.A. + GST (Inclu..
37m² first floor office Open plan office space Outgoings included in rent! Allocated car park available Available for lease from 1st April Approximately Disclaimer: Ray White has not independently checked any of the information we merely pass on. We make no comment on and give no warranty as to the accuracy of the information contained in this document which does not constitute all or any part of any offer or contract by the recipient. Prospective purchasers / lessees must rely on their own enquiries and should satisfy themselves as to the truth or accuracy of all information given by their own inspections, searches, inquiries, advices or as is otherwise necessary. No duty of care is assumed by Orchid Avenue Realty trading as Ray White Surfers Paradise Commercial divisions toward the recipient with regard to the use of this information and all information given is given without responsibility. Newly Renovated Office Space On Tedder Avenue! $11,890 P.A. + GST (Inclu..
29m² first floor office Open plan office space with plenty of natural lighting Outgoings included in rent! Allocated car park available Available for lease from the 1st April Approximately Disclaimer: Ray White has not independently checked any of the information we merely pass on. We make no comment on and give no warranty as to the accuracy of the information contained in this document which does not constitute all or any part of any offer or contract by the recipient. Prospective purchasers / lessees must rely on their own enquiries and should satisfy themselves as to the truth or accuracy of all information given by their own inspections, searches, inquiries, advices or as is otherwise necessary. No duty of care is assumed by Orchid Avenue Realty trading as Ray White Surfers Paradise Commercial divisions toward the recipient with regard to the use of this information and all information given is given without responsibility. 86m² fully fitted retail space Ready for an operator to move in commence trading with a previous liquor licence in place Open plan layout with current fit out in place such as bar, exhaust system, gas cookers, fridge/dishwasher, commercial kitchen, etc. Stunning bi folding windows at front of shop featuring a trendy nook Join the prestigious, yet buzzing Tedder Avenue retail precinct! Available now, call to inspect today! Approximately Disclaimer: Ray White has not independently checked any of the information we merely pass on. We make no comment on and give no warranty as to the accuracy of the information contained in this document which does not constitute all or any part of any offer or contract by the recipient. Prospective purchasers / lessees must rely on their own enquiries and should satisfy themselves as to the truth or accuracy of all information given by their own inspections, searches, inquiries, advices or as is otherwise necessary. No duty of care is assumed by Orchid Avenue Realty trading as Ray White Surfers Paradise Commercial divisions toward the recipient with regard to the use of this information and all information given is given without responsibility. 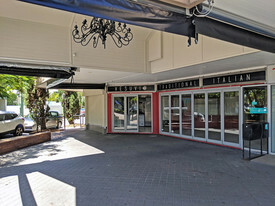 Located within a well known landmark building on the Gold Coast Perfectly placed to service the already established large international customer base 308m2 tenancy, fully fitted Profitable menswear business with turnover on track & expected in excess of $2M for 2018 Fin Year Specialising in European Brands these brands are exclusive to retail outlets (not online). Long lease term current Lease Expiry 31/08/2025 with 5 year option. Current rental of $186,000pa + Outgoings + GST Contract shall retain a number of long term staff who are excellent assets to the business. Business Sale Only Lease Assignment Required. Does not include the purchase of the premises. This site comprises: Area: 125m2 internal 80m2 external new storage/coldroom 17m2 Rent: $400.00 psm plus outgoings Car parks: external free car parking Liquor Licence: re activated by Owner Grease Trap: Outgoings: TBA Main Beach is a hub of activity as the Commonwealth Games approaches. 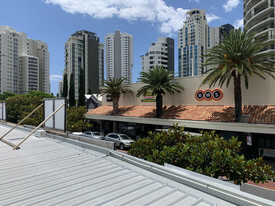 Don't be misguided by media hype The Gold Coast is booming and under construction. There will be no light rail for Tedder Avenue and it still is the premier location for dinning and high end boutiques. Motivated Landlord incentives available for the right business.